The Vision Next 100 self-driving concept explores the automaker's ideas for autonomous and fully connected cars. MUNICH -- BMW will launch a flagship self-driving car early next decade in response to the threat from tech giants such as Apple and Google in the field of autonomous driving. The car will be "revolutionary" and will raise premium individual mobility to "previously unknown levels," BMW CEO Harald Kruger said on Wednesday while unveiling his future strategy for the automaker. Krueger did not offer any more details about the car except to say it will be developed under the banner iNEXT. 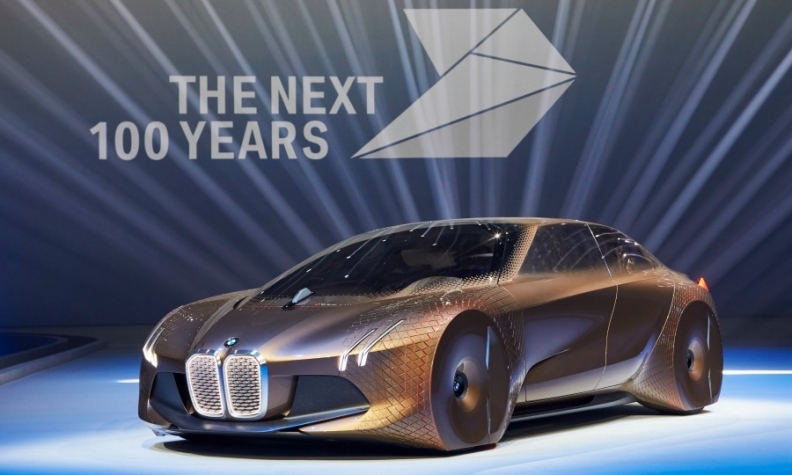 It will focus on new forms of automated driving and digital connectivity, along with electric drivetrains, lightweight construction and "trailblazing" interior design, BMW said. BMW development chief Klaus Froehlich said the car will compete with new entrants in the auto business rather than with offerings from other traditional automakers. BMW earlier this month unveiled the Vision Next 100 futuristic self-driving concept car that explores the automaker's ideas for how automobiles will evolve as self-driving vehicles increasingly take over the world's roads. The car likely will be sold by BMW's i brand, which will also be expanded with a longer range variant of the i3 battery powered compact car and a roadster version of the i8 plug-in hybrid sports car. Krueger said an i3 with increased battery capacity and additional range will go on sale in the middle of this year. He did not offer further details. A BMW source told Automotive News Europe that the new variant of the i3 will get a 50 percent improvement in its range. With such an improvement, the i3 would have a real-word range of 150km (93 miles), up from 100km (62 miles) now. The longer range i3 will be sold alongside the current i3. BMW will launch a roadster version of its i8 in 2018. The convertible was previewed by the Vision Future Interaction concept unveiled in January at the Consumer Electronics Show in Last Vegas in January. BMW said it has sold more than 50,000 i models globally since the i3 was introduced in 2013. The i8 followed in 2014 as BMW’s first plug-in hybrid. Last year, sales of the i3 and i8 grew by 66 percent to 29,513.